Learn more about student life and what you can accomplish at Joliet Junior College in our blog. Did you know that volunteering can improve your health? 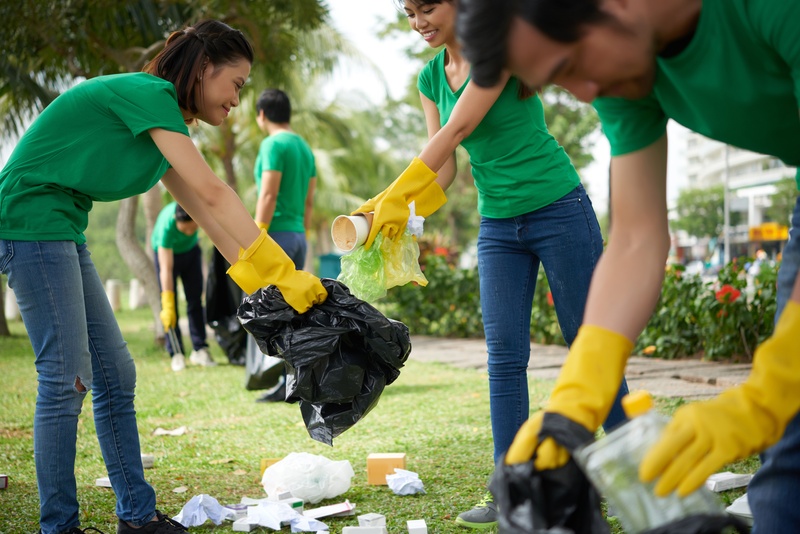 According to the Huffington Post, 94 percent of people surveyed said that volunteering helped put them in a good mood. With the holiday season right around the corner, now is the perfect time to start giving back to your community. If you're not sure where to start, we've compiled a list of five organizations below. Did you know that regular exercise can improve your mood? It can also help reduce stress, anxiety and help you sleep better. If you're looking to jumpstart your workout routine, check out our five tips below. Looking for a little extra motivation? 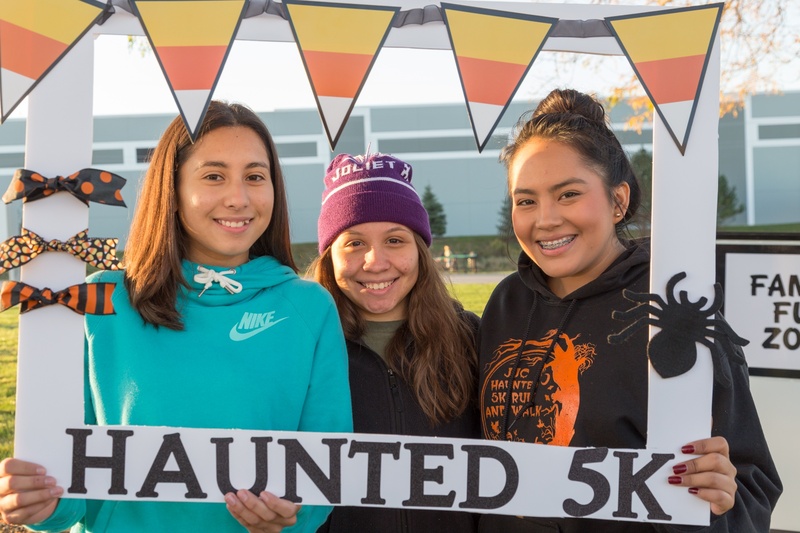 Register for the JJC Haunted 5K on Sunday, Oct. 21, 2018! If you're a regular on JJC's Main Campus in the summer, maybe you've stopped by the JJC Farmers Market on Thursdays for fresh fruits and vegetables, baked goods or other specialty items. Today, we're highlighting eight great things you can find at our market! Did your favorite make the list? Looking for a good read this summer? Even if you haven't picked up a book in a while, we've created a list of books we think you would enjoy below. Need a reason to read? It's been proven that reading helps you relax. It also boosts your brain power and makes you more empathetic. Whether you're a student or a community member, mark your calendars for the Joliet Regional Job Fair on Wednesday, May 23 from 1 to 4 p.m.! This year, the event will take place in JJC's new Event Center. Not sure if you should go? Check out five reasons below to learn why it might be a good idea. Cinco De Mayo is only one week away! The popular Mexican holiday is celebrated in the United States and Mexico every May 5 to commemorate a battle between the Mexican army and the French forces of Napoleon III more than 150 years ago. At JJC, we asked three of our chefs from the Culinary Arts Department to share their favorite Mexican dishes in celebration of the holiday. Whether you're searching for a fun way to spend Valentines Day this year with your date, or you're just looking for something interesting to do with your friends on the weekend - have you ever considered JJC as an entertainment venue? Below we've listed the top five places you can go on campus with your date or BFF. Whether you celebrate Christmas, Hanukkah, or Kwanzaa, the gift giving season is upon us. Not sure what you want this year? Maybe you don't know what to buy/make your friends or significant other - or you're a parent struggling to come up with gift ideas for your son or daughter in college. From just-for-fun to practical gifts and DIYs, here are a few ideas to get you in the gift giving spirit! Are you in the market for an internship or job? The Annual Joliet Regional Job Fair is a great place to start! This year’s event takes place on Friday, April 8 from 1-4 p.m. at JJC (J-Building). There will be more than 60 local and national companies on site, including Home Depot, H&M, Walgreens, NAPA Auto Parts, Harrah's Joliet Casino & Hotel, Exelon and more. If you plan to attend, make sure to dress in professional business attire, bring resumes, and come prepared for on-the-spot interviews. Not sure if your resume is up to par, or need to brush up on your interviewing skills? We got you covered! Check out the videos below for helpful tips. Thanksgiving – a time for family, football and food….lots of food (and if you’re like me, a good pair of ‘after-dinner-fat-pants’). But before the eating comes the prepping, and that’s where we can help! Read on for a list of our best Thanksgiving Tips and Tricks. SPOILER ALERT: These tips won’t help you escape Aunt Millie’s ‘hilarious’ story about her cat, or your grandpa’s thoughts on the 2016 presidential race. 1.) Prep Like a Boss: Ever heard the saying, ‘However long you think it’s going to take, double it.’ Same goes for party prepping. Crossing a few items off your to-do list the day before will save you some serious scramble time the evening of the party – even if you think you’ll have ‘plenty of time to get it all done.’ Prep self-serve drinks, stick Post-It notes to empty platters and bowls indicating where the food should go or prepare a few fridge-friendly dips or desserts that you can pop into the oven an hour before guests arrive.